This is my post at Classy Cards n Such. Love this stamp from Stampavie. It's called A Rose For You and would be perfect for any occasion from Valentine's Day to Mother's Day to birthdays. I created a 5 1/2" x 5 1/2" card and added a sheet of paper from Glitz' Pretty In Pink paper pad. I inked the edges with brown ink. Another sheet of paper from this same collection was die cut with Spellbinder's Labels Eighteen, in two sizes, the smallest of which was also inked with brown ink. This die makes for a great backdrop for the stamp. The image was colored with Copic Markers and added to the frame with Joy Foam Adhesives. 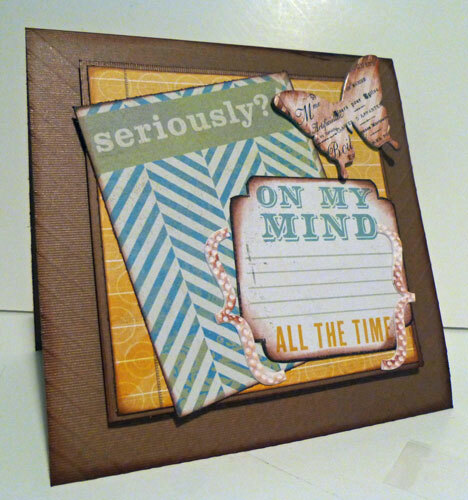 The sentiment is from Justrite Stampers Spring Words set which is perfect for all your crafting needs. Merry Christmas - here's hoping today brings you lots of exciting things this Christmas morning including good food and great times with your family and friends. This is my post today at Scrapbookpal and I've create a Christmas layout that you'll be able to showcase all your fun Christmas memories. I haven't added my photos yet because the day has just begun!! 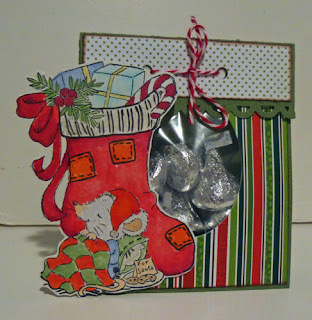 I used the Cricut Christmas Cheer cartridge for the title, packages and stockings and A Quilted Christmas cartridge for Santa Claus. I love mixing my cartridges together for even more great projects. 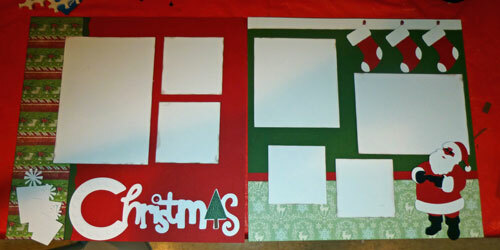 Beginning with a sheet of red cardstock for the left side and a sheet of green cardstock for the right side, it's easy to set the Christmas mood. 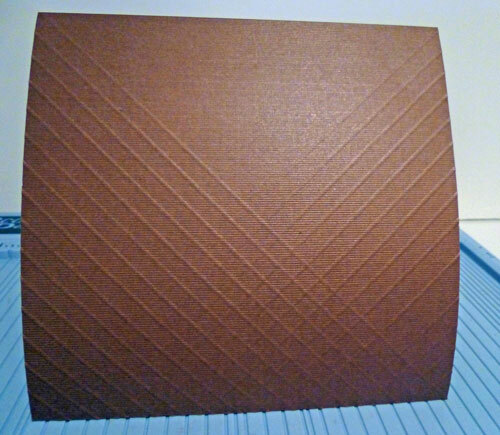 Cut striped paper 3" x 12". 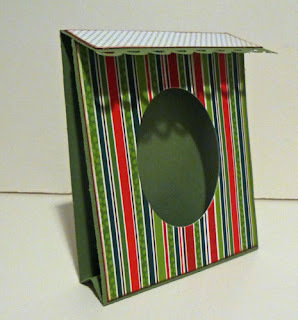 Cut green cardstock 1" x 12" and adhere it under the striped paper. 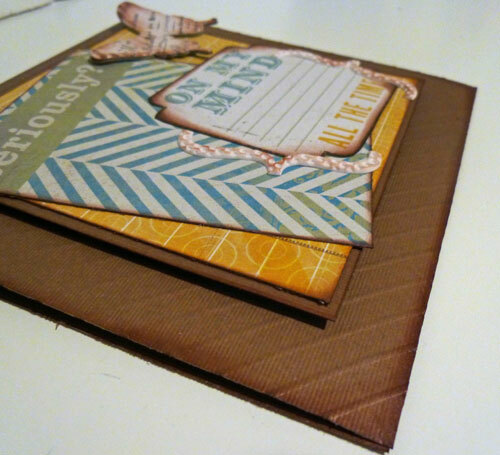 Adhere the set vertically to the red cardstock. Die cut Christmas at 3" from white cardstock. 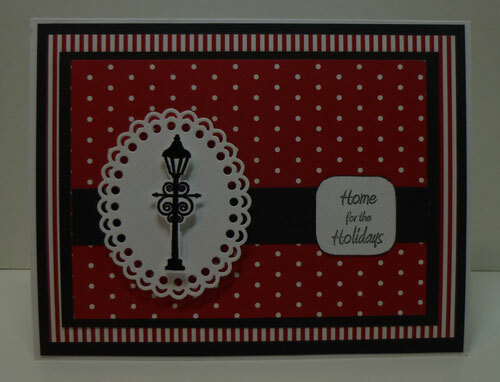 Die cut Christmas + shadow at 3: from white cardstock. Adhere the layers together and then fussy cut cut the Christmas tree to fit. Emboss the tree with Cuttlebug Mesh embossing folder before placing on top of the title. Adhere title to the bottom and add a brad to the "i" in the title. 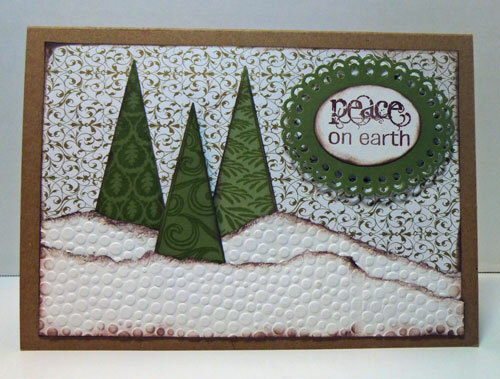 Die cut 3 packages from white cardstock at 2 1/2", 3" and 3 1/2". Cut 3 white photo mats - 2 pieces at 3 1/4" x 3 1/4" and 1 piece at 5" x 7". Ink the edges with Ranger Antique Linen and align as shown. Cut printed paper 3" x 12". 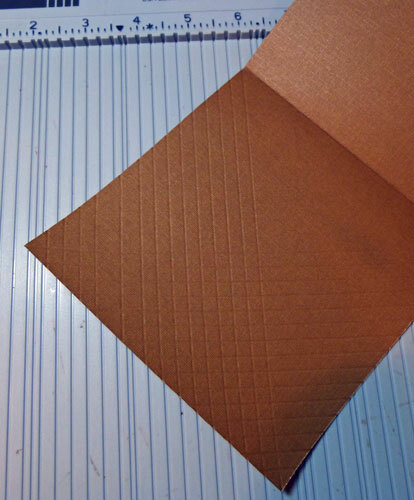 Cut red cardstock 1" x 12" and adhere it under the printed paper. 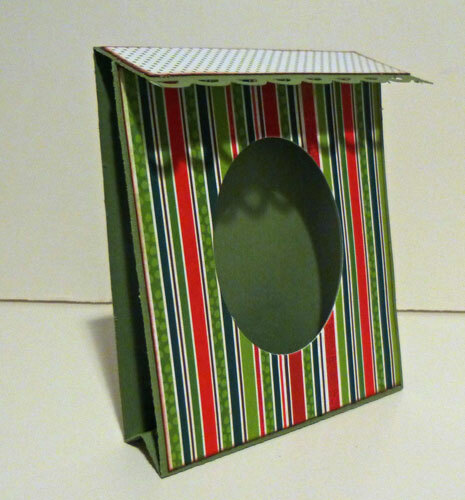 Adhere the set horizontally to the green cardstock. 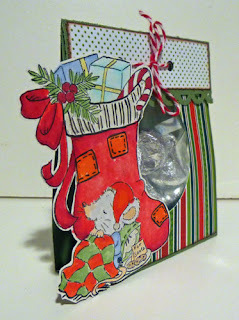 Cut a strip of white cardstock 1" x 12" and adhere to the upper edge, creating a place "hang" the stockings. Die cut 3 stockings at 3" from red cardstock using a Christmas Cheer cartridge. Die cut the stocking sections from white cardstock - shift + stocking. Assemble stockings and "hang" them from the white strip with red brads. Cut 4 white photo mats - 2 pieces 3" x 3", 1 piece 4 1/2" x 6" and 1 piece 4 1/2" x 5". Merry Christmas and enjoy this fun filled day with family and friends. Today's post at Classy Cards n Such. Check out all the delicious goodies Bev has in the store. 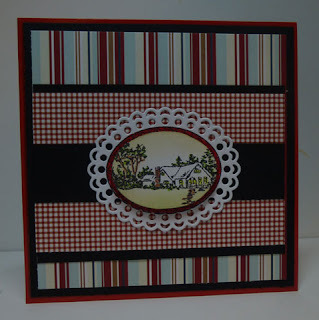 I created this anniversary card using assorted papers from the wonderful Handmade Holidays paper pack from Simple Stories. I love the variety of papers and colors in this collection and it's great being able to use some of these papers for non-Christmas projects. 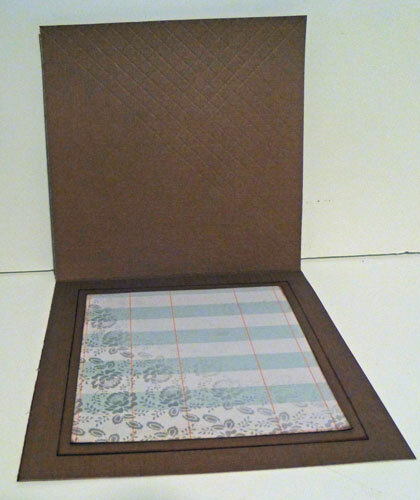 I selected several different sheets of paper from this collection pack to use on my card, inking each layer with Ranger Antique Linen Distress Ink, and then matting each layer with brown cardstock. 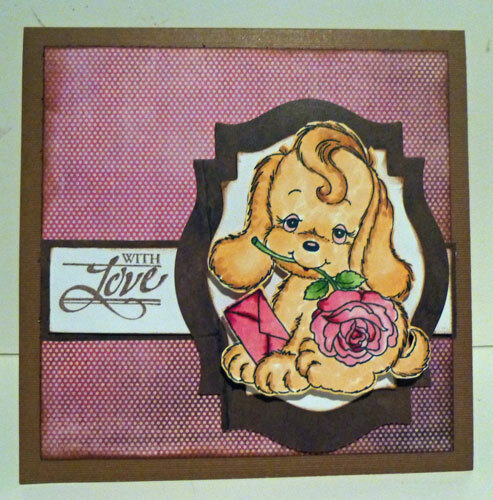 I stamped Jack and Ginger on Cryogen White cardstock, then colored them with Copic Markers. Using the Spellbinders Oval Medallion Dies as an anchor for the couple, I cut the stamped image out and used Joy Foam Adhesives to pop the couple from the background layers. Using Art Impression's Grow Old With Me stamp, I inked it using the Ranger Black Soot Distress Marker and stamped it on another strip of paper from the Handmade Holidays paper pack. Hey there - it's almost New Year's. Can you believe that 2012 is about to end? Where has the time gone! I have a quick and easy card today to help celebrate the New Year. I used Happy New Year Tilda, coloring her with Copic Markers and adding some Spica pen to her glass of bubbly to make it shine, just like her necklace. Here's hoping this card brings you cheer and beautiful wishes for the New Year. Don't forget to pop on over to the Rubber Buggy Blog for more design team inspiration. It's a new challenge at Cornish Heritage Farms (CHF) and Anne has asked us to create a winter themed project. 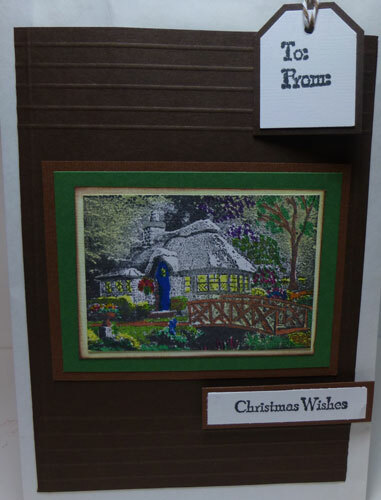 These Thomas Kinkade stamps are incredibly detailed and really provide quite an impact for card creating. I selected Graceland Christmas for my card, but kept it pretty simple. I wanted the emphasis on the serenity of the nite with the card lights and house lights shining through. The card was embossed with a Cuttlebug Snowflake Embossing folder and lightly inked. 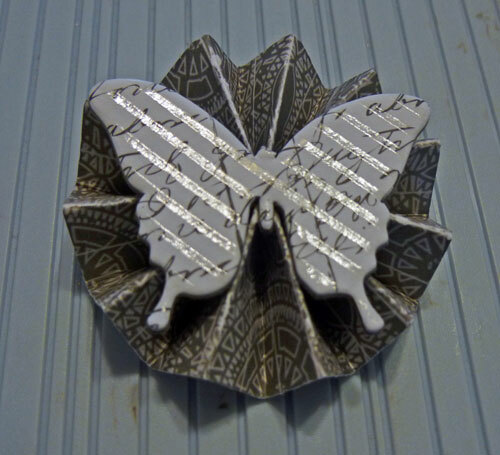 THen I tied a ribbon around it before adhering my stamped image. The sentiment is from the Night Before Christmas stamp collection. It's Monday and that means it's reveal day at the Prickley Pear blog. Stop by to see what the designers have been creating. I made a tag this week using the rubber Reindeer. I first create my tag from green cardstock and added some pattern paper on top. I lightly inked the edges before adhering, then die cut an oval and placed the reindeer on top. Isn't he just perfect to add to Christmas packages this year? It's reveal day at the Prickley Pear blog. Stop by to see what the designers have been creating. For today's post I used Winter Scalloped Oval 3 and coordinating die. I stamped the image twice, then cut the scallops away from one of the images. I colored in this image using Zig markers, then sponged ink around the image using Ranger Distress Inks. 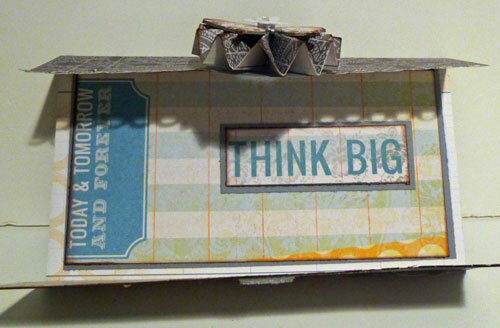 I then placed this piece back using foam adhesives between the layers for a little dimension. It's reveal day at the the Prickley Pear blog. 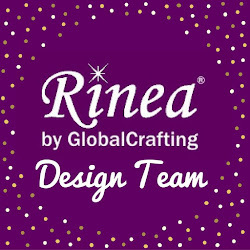 Stop by to see what the designers have been creating. 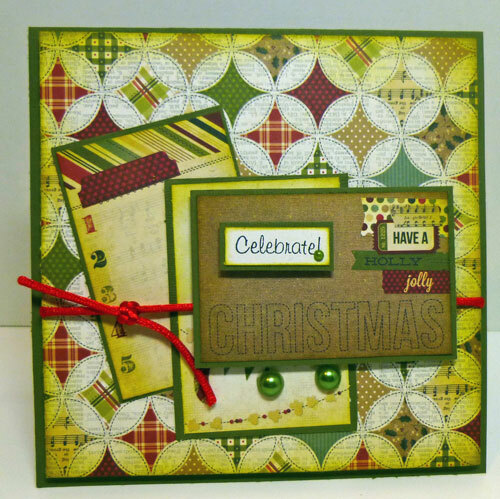 Today, I used the Winter Scalloped Oval 3 and coordinating die along with the Christmas Trees 2 stamp set and coordinating die. The stamps are each uniquely different and cut beautifully with the coordinating die. I created some faux snow and placed the trees behind the snow. 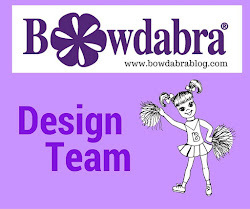 This week the Scor-pal Design Team is blog hopping with Core-dinations. 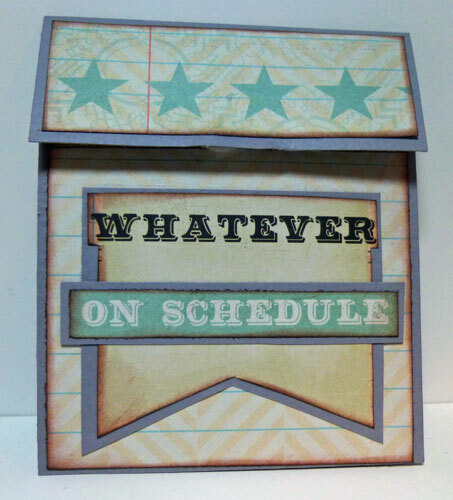 Come check out what the design team has created with Core-dinations cardstock and our Scor-pals. Today, my project is posted on the Scor-pal Blog. Here's a little snippet of my project. Head on over to the Blog for complete details. I completely forgot to post this card. With the huge storm we had here in New York, things have gone a little wacky. So I'm still trying to play catch up. The stamp titled Happy Couple is from Stampavie. Don't you love how he is holding her ever so close on this special day! 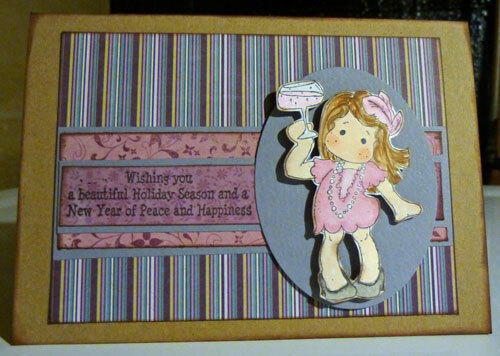 I used a combination of gray and pink - love those colors together. The gray complements their clothes and the pink complements her roses and the trims. 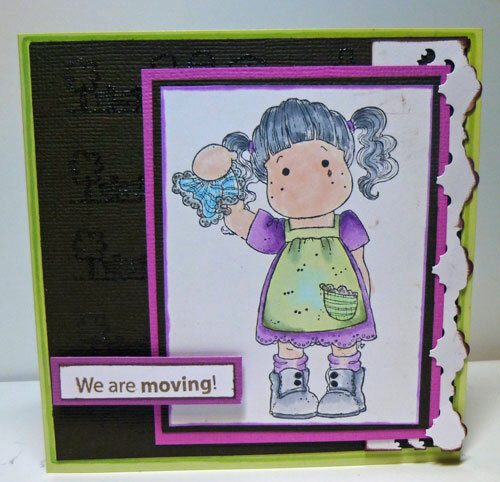 I stamped the image on Cryogen White cardstock. It has a nice shimmer and shine and is perfect when using Copic Markers. So, using Copic Markers, I colored her gown with light shades of gray and his outfit with darker shades of gray. The roses are red violet and so are the trims on the clothes. 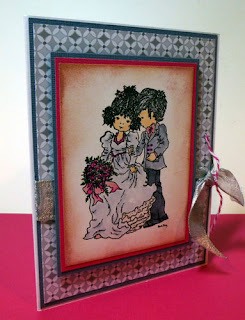 Once the image was colored, I sponged some Spun Sugar Distress Ink and some Victorian Velvet around the image. 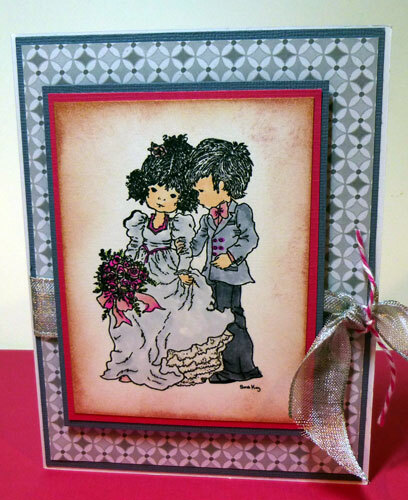 A sheer ribbon was tied around the card and some Doodle Twine was tied to the knot. Well, it's time to create something other than Christmas cards! I think I'm about done with them. This Cat in a Flowerpot digital stamp from Cornish Heritage Farms really caught my eye. 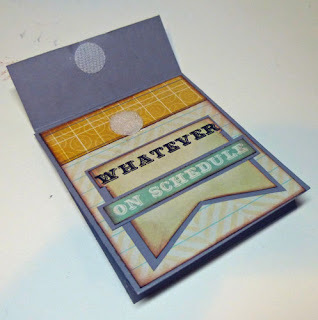 I created a 5 1/2" x 5 1/2" card from brown cardstock and embossed the front with a Cuttlebug embossing folder. After printing the image, I colored it with Copic Markers, then decided to die cut it with Spellbinders dies. So I carefully cut around the leaves to keep them intact and die cut the oval. This really emphasized the cat's expression on that remaining flower!!!! I inked the edges with brown ink, then die cut a larger mat from yellow cardstock. I adhered a strip of yellow paper across the bottom and added the image. 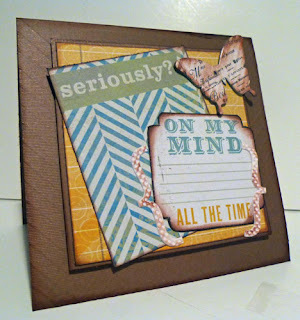 My post today this week on the Papertemptress blog. The card base is Navy Blue Leather and the gold layer is Gold Mettalic which embosses so easily. A sheet of Rose Petal Vellum was placed under the Magnolia stamped image which I colored with Copic Markers. This is today's post at the Rubber Buggy. I have always loved this Farewell Tilda from the Bon Voyage Collection. I colored her softly with Copic Markers because she looks so sad. 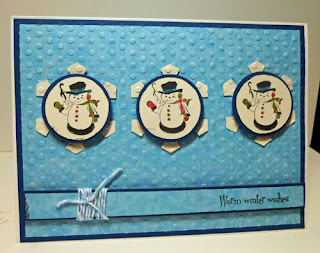 I made a tag this week using the Scalloped Oval Die, Winter Scalloped Oval stamps, and Snowman with Pipe. I cut out a tag, then embossed it with a Cuttlebug Embossing Folders. 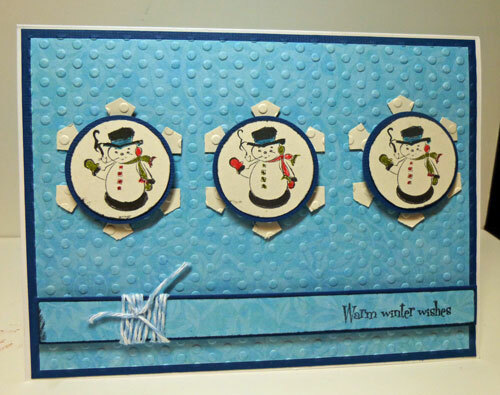 The snowman is small so he fit perfectly in the center of the oval die. I colored him with Zig Art & Twin Markers, tied a small tag with a sentiment to the ribbon and another package tag is ready for the gift to be wrapped. 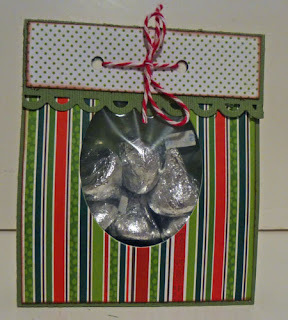 Here is another Christmas candy bag I created with my Scor-pal and some lovely Bo Bunny papers. 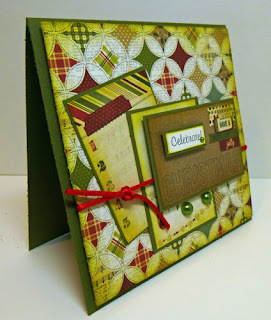 The Stampavie stamp is such a cute element to add to the corner. Cut cardstock 3 1/2" x 10"
Score at 4", 4 1/2", 5" and 9"
Punch along the top edge and cut pattern paper to fit - approximately 3 3/8" x 7/8". Cut pattern paper to fit the main portion - 3 1/4" x 3 3/4"
Ink the edges for dimension. 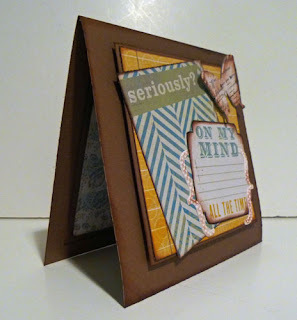 Using a Spellbinders oval die, die cut the center. 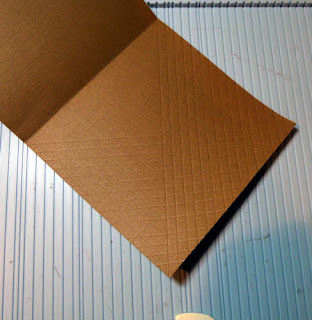 Adhere to the front with Glue Dots so that it overlaps (but is not adhered) to the top flap. 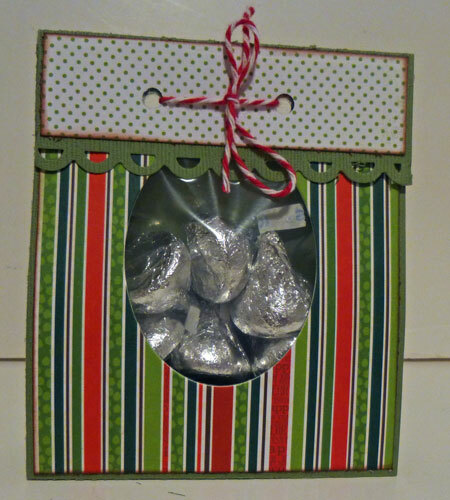 The accordian bottom allows the candy bag to stand on it's own, so why not make several of these for friends and family this holiday season. 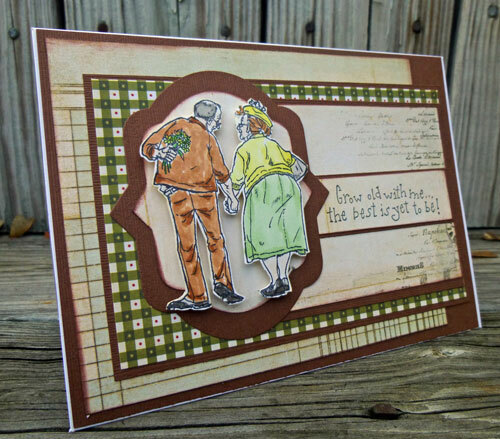 Check out my post on the Classy Cards and Such blog today. 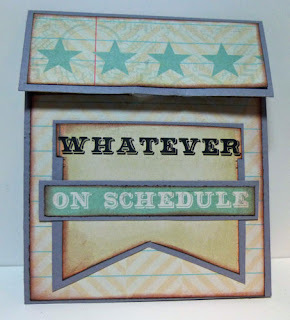 I'm showcasing this awesome stamp by Stampavie which you can find in the store. 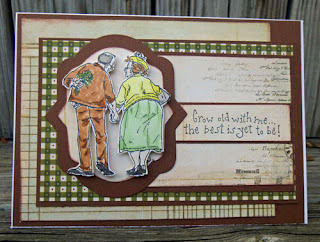 This was last week's post on the Scor-pal blog where I worked with Pink Paislee's Portfolio Collection. I loved the block of quotes on the Outstanding and Unbelievable papers so I designed a card to work around them. As I wanted to keep my card simple to maintain the focus on these quotes, I decided to created a scored background. Cutting cardstock 5 1/2" x 11", I scored it in half to create the card. 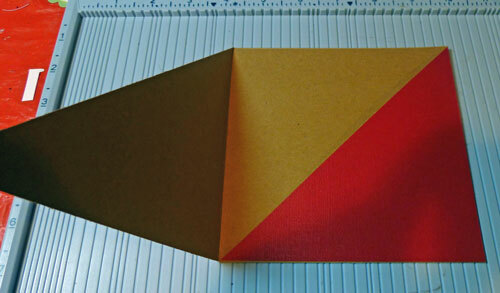 Then, lining up the card diagonally on the #6, I began to score every 1/4" until I reached the edge of the card. 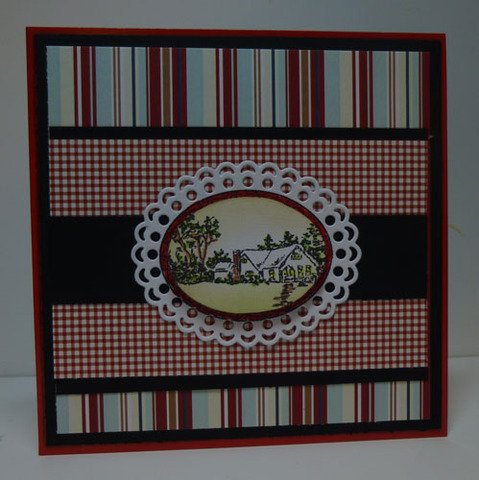 Next, I turned the card 180 degress so that I could score the other side of the card every 1/4". 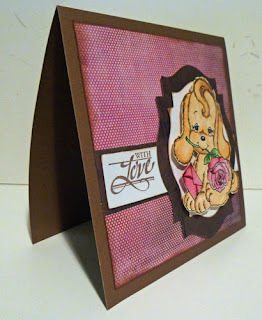 This is the finished look of the card base. Cutting the Unbelievable paper into a 4" x 4" square, I created a base for the quotes. I then took the elements I wanted to use and inked them with Clearsnap Ink before adhering to the square. This entire piece was then added to the card front with foam adhesives for dimension. Here's a close up of the grouped elements and the score lines. 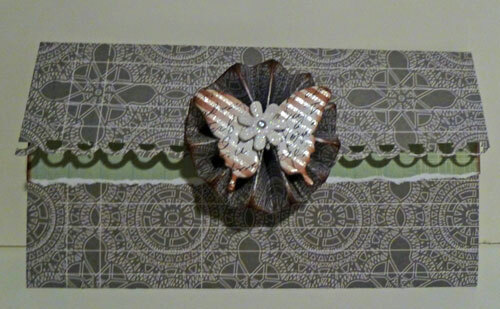 The Artisian butterfly chipboard and brackets were fun elements that added some visual interest to the card. To highlight the scored lines, I inked around the edges of the card so that the scored lines would become more prominent. I don't usually finish the inside of my cards, but this Incredible paper was perfect for the inside. 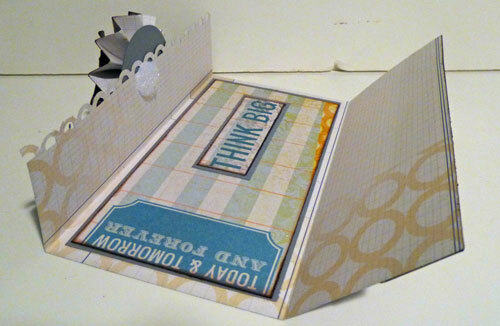 For my next project, I created a tri-fold card which could easily double as a gift card holder. I cut the Amazing paper 6 1/2" x 8 1/4". Placing the longest side at the top of the Scor-pal, I scored at 2 1/2" and 6 1/2". 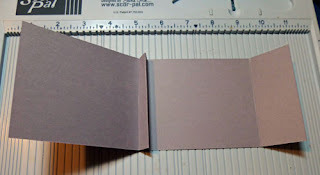 I used a punch along the edge of the narrower piece to finish the flap. I selected elements from the Unbelievable paper and used them as my interior sentiments, inking the edges and matting with cardstock. I love creating rosettes and the Scor-pal makes it so easy. Just cut a 1" x 12" strip of Amazing paper and score every 1/2". Once the rosette was completed, I added an Artisian Butterfly on top. Finally I added the rosette to the center of the front flap and used velcro as the card's closure. 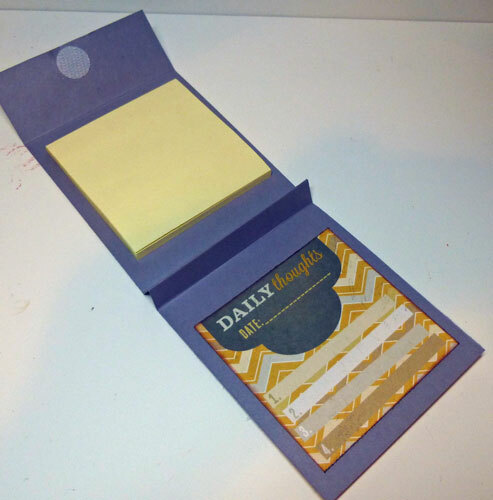 This next project is a mini post-it note holder. The Unbelievable paper had just the right elements to use. Cutting cardstock 3 1/2" x 10", I scored it at 4", 4 1/2", 5" and 9". 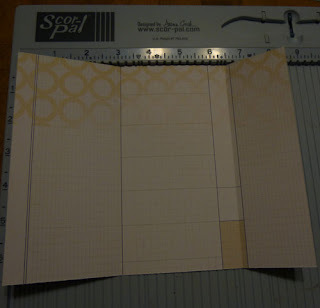 Fold on all score lines, creating an accordian fold for the bottom of the holder. I used the Incredible and Unbelievable papers to finish this project, cutting and shaping the elements I wanted and then inking the edges. For the interior, I adhered post-it notes and another element from the Outstanding paper. A velcro closure holds the book together. It's a new Thursday reveal at the Prickley Pear. 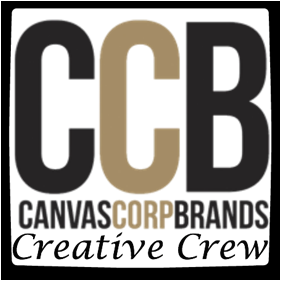 Check out what the design team has posted. 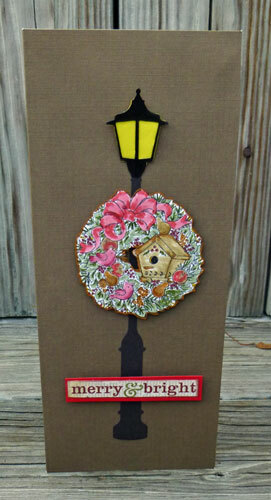 I've used the lamp post and sentiment from the Winter Scalloped Oval 3 stamp set, along with the coordinating die. I stamped, embossed and then cut out the lamp post before adhering it to the scalloped die. Some simple background papers help to show off this wonderful set. This is today's post at the Rubber Buggy. 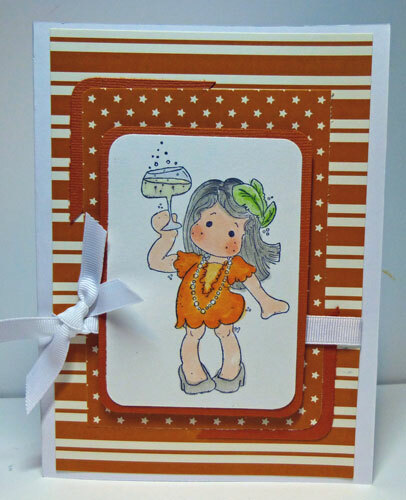 Isn't she just the perfect stamp for a party or perhaps a girls night out? 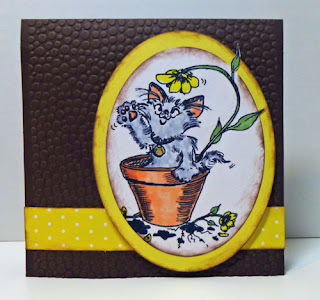 Here's today's post on the Classy cards 'n such blog. It's really a quick and easy Christmas card to create using the awesome papers found in the Simple Stories Handmade Holidays paper pad. Create a 5 1/2" x 5 1/2" Square card from green cardstock, then select papers from Simple Stories Handmade Holidays paper pad and make the card. The base was one sheet of paper. Several sheets had elements you could cut apart, so I cut out the elements I wanted and matted each with green cardstock before adhering to the card. 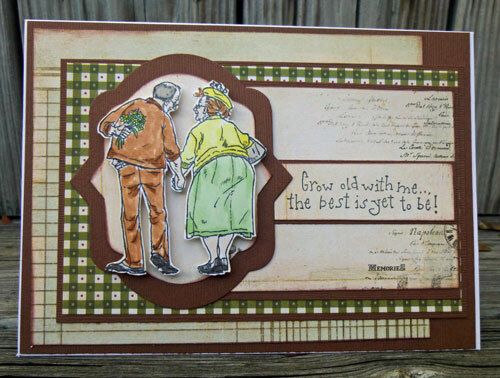 The sentiment is from Justrite Stampers Topsy Turvey Cakes. While this is a birthday stamp set, you can easily take one or more of the stamps and create different themed cards, and Celebrate! works perfectly with this card. I used a number of Pearls from Want2Scrap and some beautiful Red Satin String to finish the card. It's a new challenge at Cornish Heritage Farms (CHF) and Frances has asked us to create a project using any of the awesome Thomas Kincade stamps in the store. I elected to create a gift bag using the Friendship Cottage stamp. This stamp is a little smaller than the other Thomas Kinkade stamps, but it's just as beautiful and very detailed. I colored the Cottage with Copic Markers, then gently sponged Ranger Antique Linen around the edges of the stamped image and over the trees. This provided a nice soft look to the background. Once completed, I added Walnut Ink along the edges to give some depth to the image. This was then matted on green and brown cardstock. Using my Scor-pal, I created score lines along the top and bottom of the base piece before adding it to the gift bag. 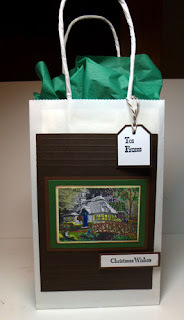 This helped pull the focus on the image (plus added some visual interest to the gift bag). Then I used stamps from the Night Before Christmas for the sentiment and also on the tag which I tied to the handles of the bag. It's a new Monday reveal at the Prickley Pear. Check out what the design team has posted. I've used the new Snowman stamp, coloring them with Copic Markers before adhering them to snowflakes. 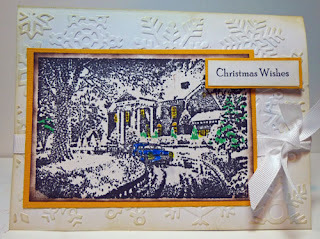 The sentiment is from Christmas Trees 2 stamp set. 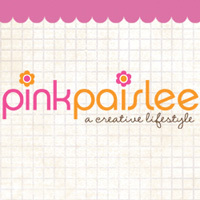 I hope you've been following along with the fun at the Scor-pal blog where we have been creating projects with awesome producs from Pink Paislee. Head over to the Scor-pal blog for all the details. 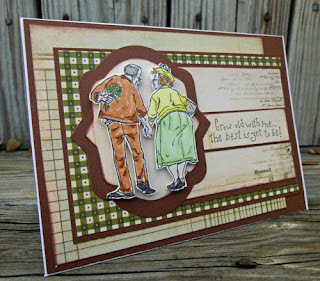 Check out my post using today on the Classy Cards and Such blog. 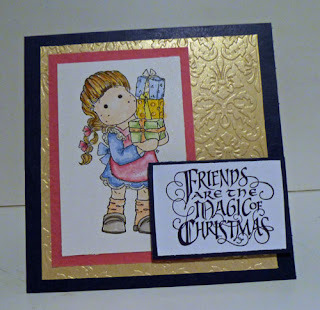 This adorable Christmas Stamp from Stampavie is called Waiting for Christmas and is simply adorable. 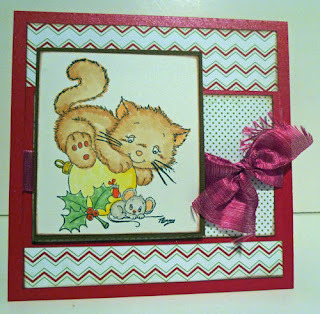 I stamped the image on Cryogen White Cardstock then colored it with Copic Markers. This cute stamp is perfect for upcoming Christmas cards, don't you think?